Find out what is covered by your health insurance plan. Seems obvious, but many people forget to check if their chiropractic care team of choice is listed among their approved providers for those services. Chiropractic care entails diagnosing and adjusting back problems by manually manipulating the bones in the spine to ease pain and restore mobility. Years ago, chiropractic care and other forms of alternative medicine were considered unorthodox and often weren’t covered by health insurance providers. Today, as more and more insurance carriers are looking for ways to promote wellness and good health, the rules have changed. Find out what is covered by your health insurance plan. Check to see if your chiropractic care team is listed among their approved providers for those services. 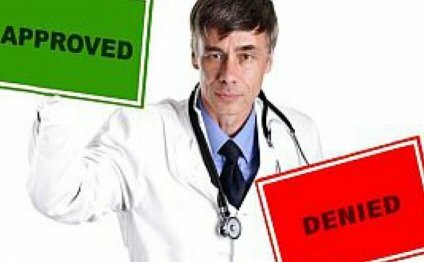 Determine if your insurance carrier is an HMO (Healthcare Management Organization) or PPO. HMOs will generally only cover practitioners who are on their approved list. PPOs tend to pay for any chiropractic service, usually up to 80 percent of fees charged by providers not on their preferred list, as well as a prearranged fee to the provider if they are preferred. Get your chiropractor’s office team to help you find alternatives to your health insurance if you can’t get coverage for your visits. Many practitioners have special financing plans available. Keep approaching your insurance provider, as many health insurance companies operate under the ‘squeaky wheel’ theory. If your medical doctor agrees with the need for chiropractic care, ask for a letter stating that for the insurance company. Be certain to thoroughly fill out your medical history form when you visit a chiropractor for the first time, paying special care to questions about prior injuries. If you were injured in an automobile accident or work-related injury, talk to your automobile insurance company or employer about possible coverage of chiropractic treatment. Here are some figures – a complete spinal decompression therapy treatment costs around $5000. The average costs for back pain surgery are around $35, 000. The co-pay on $35, 000 is $7000. Batavia Chiropractor_Does Insurance Cover Care? Can you lose weight with Acupuncture?